OK – let’s see what this island has to offer. Ollie is pale and painfully drawn. No wonder – he’s lost about a third of his body weight. I’ve been (selfishly) afraid to see him like this. It’s a month since his near-fatal crash, a week or so since he came out of critical from the head injury he suffered. I know he’s getting better. His recovery is well underway. But seeing him like this – well, I’ve been terrified. I’m not great at this stuff. I needn’t have worried. The twinkle in his eye is undiminished. I fill him in on a month of gossip. We’re both members of the British Civil Service. When we joined, we signed the Official Secrets Act – the most dramatic moment of the whole job. I worked on an IT service desk; Ollie was our roaming trainer and software installer. That’s why he was down here in Coventry, when that truck came out of nowhere. He’s incredibly lucky, and he knows it. In a few months, he’ll be back in York, picking up the pieces – but right now, he’s laying there, thinking Big Thoughts About Fruit. Good question. An entire hour of walking – and I have absolutely nothing to tell him. My mind’s a blank. I walked through the inner city on autopilot, so preoccupied with worry about Ollie, and so wrapped up in my own stuff, that I tuned everything out. 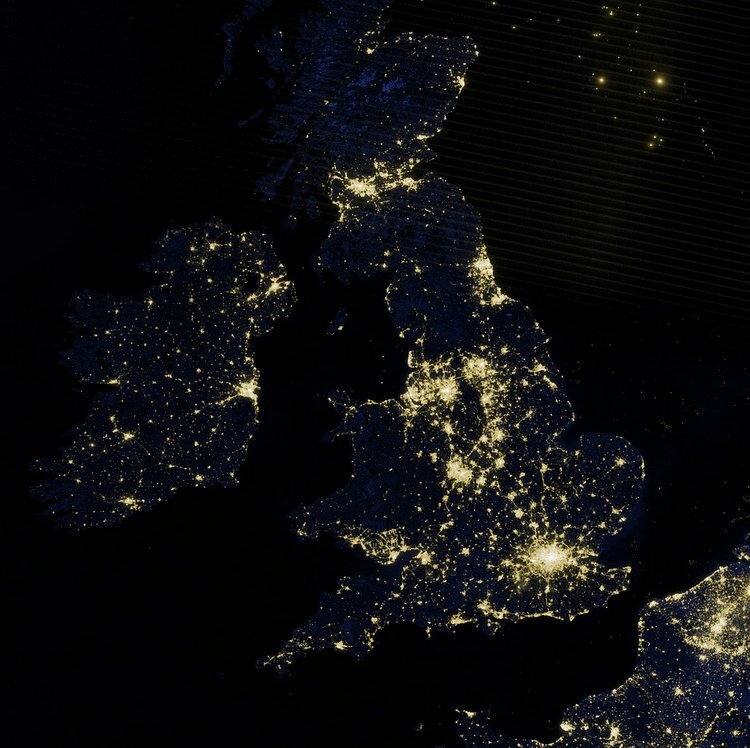 There are 69 cities in the United Kingdom (England, Scotland, Wales and Northern Ireland). If you visit enough of them, you’ll start to notice patterns – the same shops (arranged differently), the same – and after a while, those visual clichés are all you’ll see. Everywhere looks like everywhere else after a bloody good shake. Well, that’s what I thought back in 2005, before I started hanging out with travel writers and then became one myself. My favourite travel writers avoid statements like this. They’re good at making places come alive by finding what’s special about them. If you learn nothing new when you write about somewhere, if you’re actually bored (my favourite word! ), that’s a terrible waste of someone’s time, either yours or your reader’s. But the writers I admire find an angle that’s a bit weird – say, by apologising to visitors because they can’t even land. I wrote this about Edinburgh a few years back. I had great fun writing it -not just because I love that city, but because I had no idea about this stuff (the geology, the history, the glowing crosses and miniature coffins) until I read up on them and talked to people and hauled those stories out, through the muddying facts I knew already. It was exciting and it was humbling and it made me wonder if everywhere was that interesting – even the bad places. So, it’s time to put that to the test. There are 69 cities in the UK, and I’m going to visit every one of them. There are also another five in the Republic of Ireland (or six, or seven – they define “city” a bit differently there) so I’m adding them to the list. If it seems boring, I’m not looking hard enough. If I’m bored, it’s a personal FAIL and I need to give myself a good kick. 2) I need three stories, connected by a theme, to write it up properly. Stuff in threes is always fun to read (yeah science!) – especially when it’s all part of one story. So, that. 3) I need to actually go there. Duh. But hey, I could write these stories while sat at home, copy & pasting stuff from Wikip….I mean, doing research. That would be lame, so I’m defining that as cheating. Plus, this is an excuse to explore the island I grew up on – and since I’m currently planning to leave it for a while, this is a protracted Goodbye that feels respectful and fun. 4) I will use as little money as possible. I can’t spend much money on this. I’m putting my spare income into paying off debts and building my storytelling business. Therefore, part of the challenge is to do this with as little money as I can, and hack myself the rest of the way there. That’s part of the fun – especially if it’s a bit horrible – and it’s probably more useful to you, if you’re wanting get around the UK on the cheap. 5) I will get the help of locals. Are you a local in one of these cities? Then, can I buy you a coffee, in exchange for a good story about the city you live in? I’d be immensely grateful. I’ll also pick the brains of local experts on specific topics (the wierder the better), and I’ll ask people annoying questions on the street, like a balder, infinitely less funny version of John Oliver. I’m still nailing down a deadline. I’m still working out how it’s going to fit in with everything else I’ve got going on. But it feels like an adventure, it’s going to be tricky to accomplish, and it’s going to make me a better writer. That’s three excellent reasons to do this. *I nearly said “I dig it”. But I didn’t. I hope you’re proud of me. Want to follow along, every exciting / agonizing step of the way? Sign up for e-mail updates (top-right)! Images: Christian Schnettelker, NASA Goddard Space Flight Centre, Mike Sowden.